For fine dining the way the locals do, Birch Ridge is the place to be. Self-defined as ‘refined, not rustic,’ you’ll feel very much as if you’re having supper in Grandma’s formal dining room. The whole place feels cozy and familiar, with rose-colored linens, a buffet with flowery glass pitchers, oil lamps on every table and vintage glass globe lighting. There are only eight tables in the dining room, which lends to the cozy factor. In the Great Room (read: bar), you’ll find couches in addition to counter stools, and all your favorite beverages. It may feel more like a living room because it actually is that of the innkeepers, Mary and Bill. 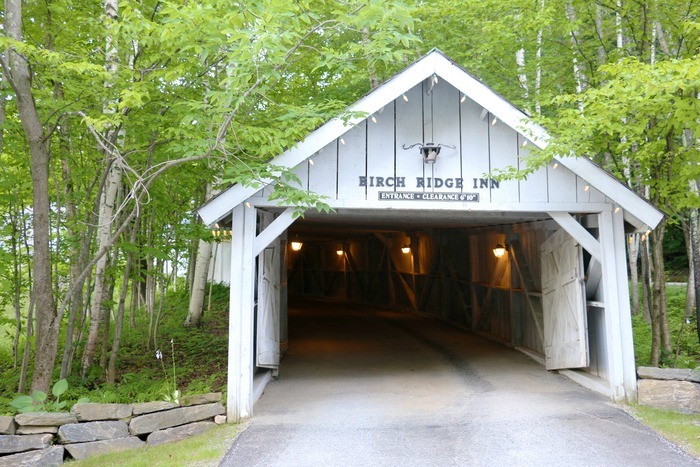 As you drive up to the inn where the restaurant is located, you’ll pass under a covered entryway, sort of a throwback to the lodging of yesteryear – which is quite quaint and wonderful. As a first course, we sampled the Vermont cheese plate, as well as the arugula orange salad. Both were delicious. 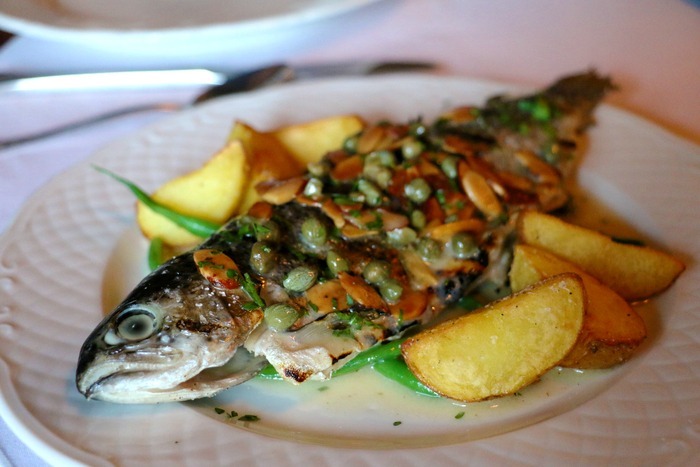 For dinner, we enjoyed the Trout Almandine, a fresh fish favorite in these parts. Other diners during our visit were older couples toasting a great day on the golf course. Bill (yes, the Innkeeper) was our server. At the time, we didn’t know he was the innkeeper. He was friendly as could be, sharing that 60 percent of restaurant traffic are guests of the inn. Although during peak season, he says, more non-guests dine in. And we can understand why … the food is both immaculately presented and incredibly flavorful. Bill and Mary are both very active in the community, so they are perfect resources for any questions you may have about Killington and the surrounding areas. And they’ll likely be serving your delightful meal. In other words: Come for dinner, stay for the lovely conversation and local advice. 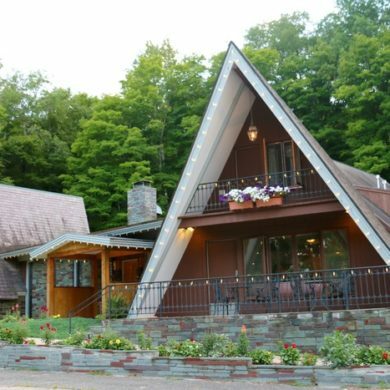 The Birch Ridge Inn & Restaurant is located at 37 Butler Road in Killington VT. For more information, please visit the Birch Ridge website or call (802) 422-4293.